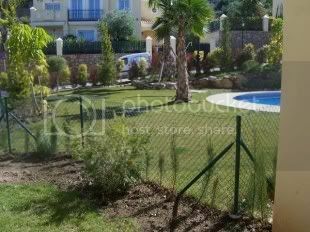 The third property i’m selling is my other 3 bedroom townhouse in Alhaurin el Grande, similar to my other townhouse for sale, but this one is without the ‘Tower’. 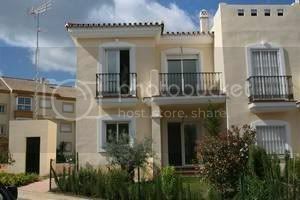 This brand new house on the edge of the Golf course is an excellent location and a very peacefu, upmarket environment. 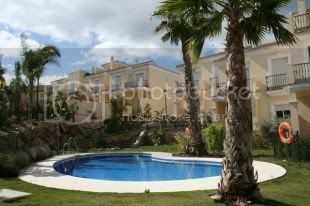 On a small development the pool and well stocked and maintained communal gardens are never busy. The property would be suitable as a family home or a rental investment. As a holiday home it would be hard to beat. There is a small private garden and a private parking space right outside. This is a safe environment, near to the Spanish town of Alhaurin yet on a private complex which has its own cosmopolitan clubhouse – a real homely, relaxed feel. The house has been finished with all luxury fittings and the build standard is high. The build area is 122.71m2 with a balcony on the first floor and a patio which leads onto the private garden of 32.62m2. 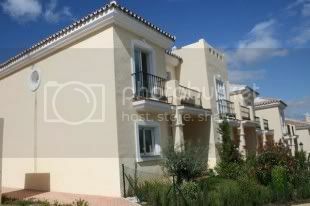 The asking price for this townhouse is just 259,000 €! Open to serious offers. Contact for more details!